One of the things I love about Thailand is the food. I realize that this is probably a bit obvious since we’ve been writing this blog and mentioning food in Thailand quite frequently. But I don”t just love the food because it’s delicious that’s a given and something I’ve repeatedly mentioned. I haven’t always had the same love of food that I do now. Growing up I can remember my meals at home not being too adventurous and I can remember many of my dinners being mashed potato, boiled peas and a mince pie. Most likely this is what I got because I was a bit of a picky eater and I can imagine as a mother I wouldn’t want to deal with that either. I would say that through my late teens and early twenties I didn’t have that much desire to go outside of my comfort zone with food and I wouldn’t really try different foods (But I didn’t really like to eat mash potato, peas or mince pies anymore either.) I remember the first date Nic and I went on was at a Malaysian restaurant and to be honest I had no idea what to order or what to expect, and probably ordered the least adventurous thing on the menu. Then fast forward a few years Nic and I decided to travel around South East Asia for a year and it was during this year away that I fell in love with food. I fell in love with Chicken Rendang on Lake Toba in Sumatra, Indonesia, we stayed for almost a week and had it every night. I fell in love with Satay at the cook-your-meat-and-veges-in-Satay-sauce-right-at-your- table place in Melaka, Malaysia. I fell in love with thin crispy edge pineapple pancakes on Gili Air Island in Indonesia, with Roti Chanai for Breakfast in a small town in Malaysia. I fell in love with the unique ‘Hoi An’ food in Hoi An, Vietnam, with Mango Sticky Rice in Hua Hin, Thailand. I fell in love with Empanadas in Chile, with Dulce-de-leche in Argentina. I think you are getting the picture now, I fell in love not once, not twice but repeatedly. The great thing about travelling is that you feel you need to try new things, that you need to make the most of your time and I did try and try again. But when we found something we really liked that we might never get to have again we allowed ourselves to have it repeatedly and agreed it was okay if it was the only thing we ate for a week. It may seem ironic then that the same year I fell in love with food was the same year I lost a lot of weight, but maybe it’s not. I think what falling in love with food meant was that food became more than just fuel. Food became something to be savored, something to marvel at, something to dissect bit by bit and discover. When we returned to New Zealand after that one year trip I was so excited to cook and make the food of my travels – igniting memories as we ate. Learning more about how to cook and blend favours and techniques built on to my love of food – knowing what went into my meals, and that it was created with care was just so satisfying. By travelling I got to see the way food reflects a place, the people and the culture. In Thailand food is centre stage I think that is partly why Nic and I wanted to come and live here. I wanted to be able to pop out my door and be surrounded with food offerings. I wanted to try all the food I didn’t get the chance to try before. 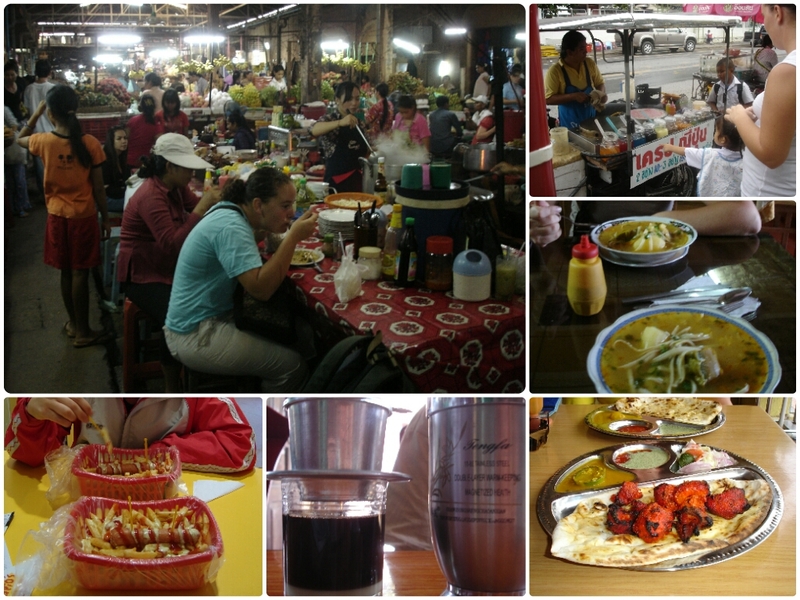 I wanted to get a deeper glance at the culture in Thailand through its food. So that is how I fell in love with food and I hope that through this blog you fall a little more in love with food too.